Kylián’s sense of humour comes prominently to the fore, but tragedy lurks behind the humour. After all, each birthday implies another step away from the day of birth and a step closer to death. “Ever since I was very young, I have felt very deeply that our birth certificate is actually our death sentence”, says Jirí Kyilán. Birth-day plays a game with time. This ballet by Jirí Kylián, with the dancers draped in red skirts which the viewer will not quickly forget, is of an indescribable beauty. In Bella Figura, Jirí Kylián ventures into the twilight zone of the human soul. Dream and reality collide on stage, offering a constantly changing perspective. The flashing images which rapidly change in colour and mood flow harmoniously together with a collage of renaissance and baroque music by Vivaldi, Torelli and Pergolesi. The result is elusive and enigmatic. “Simply – the feeling one has after dreaming of falling down only to wake with a broken rib”, as Kylián himself described it. 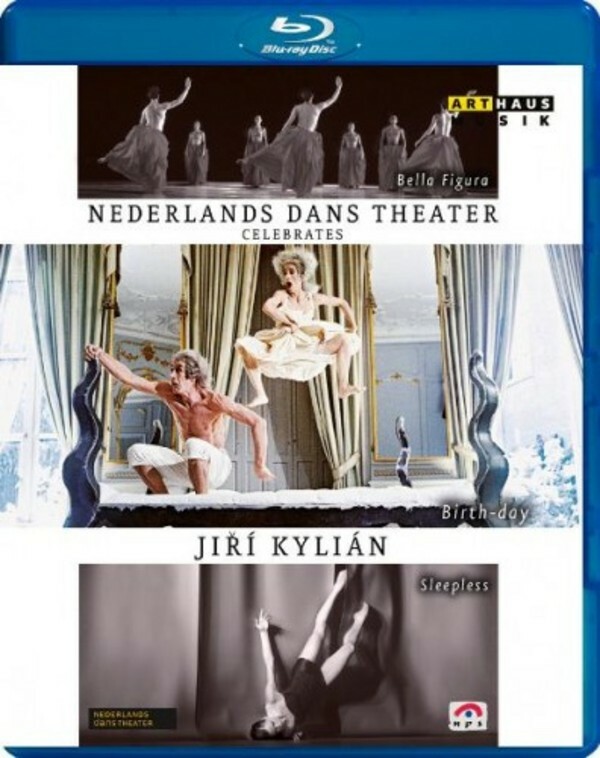 Jirí Kylián has made many masterpieces, one of them the fascinating Sleepless, a creation for six young dancers in which the set plays an important part. It has a wall behind which dancers – or sometimes just parts of their bodies – appear, disappear and return. The set allows unexpected entrances or creates hallucinating images of heads which in a grotesque way do not appear to go with the bodies.